The new ten-track album that Daniels describes as "Downhome, Swampy Rock meets Funk with a little taste of 'Delta' type of style," features the country legend on lead vocals, guitar and fiddle, Stroud on drums and percussion, Crain on guitar, and Hayward on bass. 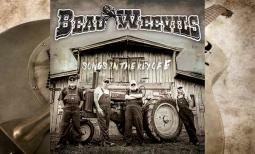 "Beau Weevils - Songs in the Key of E is the culmination of a long-held desire of James Stroud and myself to do a project together," says Daniels. "We had worked together, with James in the capacity of producer, which resulted in some of our most successful albums for The Charlie Daniels Band. He's one of the finest and most soulful drummers in the business, and I figured we could get together, musician to musician, and come up with something special. We just needed a vehicle in the form of songs that would fit the bill." Daniels wrote or co-wrote all ten tunes on the new compilation. Stroud and Casey Wood produced the project with Daniels' manager David Corlew serving as executive producer. CMA and ACM Award-winning James Stroud's history as a musician, producer, music publisher and industry executive spans over 40 years. As a drummer/percussionist, he has played behind the likes of The Pointer Sisters, Paul Simon, Gladys Knight, Bob Seger and dozens more. He produced his first hit in 1976 with the triple platinum-selling "Misty Blue" by Dorothy Moore. Stroud achieved major country music success producing albums for Tim McGraw and Clint Black in the 1990s. After making his foray into the record label side of the industry, Stroud helmed Giant Records (at which time he discovered Clay Walker), DreamWorks Records Nashville (where he signed Toby Keith and produced four of the singer's multi-platinum albums) and served as Co-Chairman of Universal Music Group in Nashville (steering the careers of the likes of Vince Gill, George Strait, Trisha Yearwood, Reba McEntire and Sugarland). He would go on to found his own independent label, Stroudavarious Records, and later, R&J Records. Stroud has produced albums that have collectively sold millions of copies, and had over 100 #1 records, including three chart-toppers with country star Chris Young. Stroud also produced several albums for The Charlie Daniels Band including Homesick Heroes ('88), Simple Man ('89), and Renegade ('91). A staple of the southern rock scene since the early 1970s, Billy Crain has performed with The Allman Brothers Band, The Rossington-Collins Band, The Rolling Stones, ZZ Top, The Outlaws and the Henry Paul Band. He's the brother of the late Charlie Daniels Band guitarist, Tommy Crain. Longtime Charlie Daniels Band guitarist Charlie Hayward is best known for playing bass on Gregg Allman's critically-acclaimed album, Laid Back. His additional credits include performing with Dr. John and Alex Taylor. The album is available for purchase now at iTunes, Amazon, Google Play and charliedaniels.com. 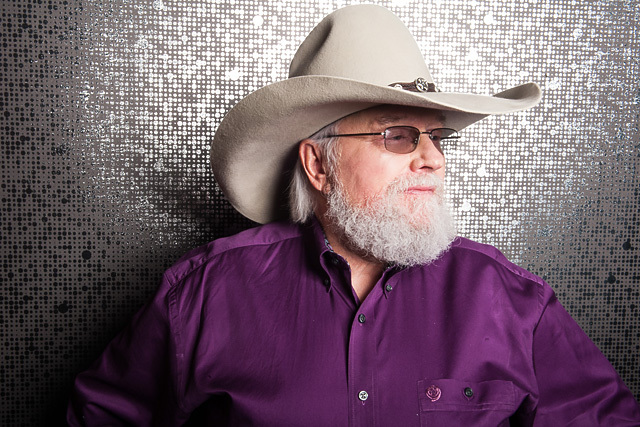 From his Dove Award-winning gospel albums to his genre-defining southern rock anthems and his CMA Award-winning country hits, few artists have left a more indelible mark on America's musical landscape than Charlie Daniels. An outspoken patriot, beloved mentor, and still a road warrior at age 82, Daniels has parlayed his passion for music into a multi-platinum career and a platform to support the military, underprivileged children, and others in need. The Charlie Daniels Band has long populated radio with memorable hits and his signature song, "The Devil Went Down to Georgia." Over the course of his career, Daniels has received numerous accolades, including his induction into the Country Music Hall of Fame, the Musicians Hall of Fame and becoming a member of the Grand Ole Opry. Daniels helps to shine the spotlight on the many causes that are close to his heart. He's a staunch supporter of the military and lends his time and talent to numerous charitable organizations, including The Journey Home Project, that he founded in 2014 with his manager, David Corlew, to help veterans of the United States Armed Forces.